Soy milk, which is made from soaking, grinding and boiling soy beans with water, is a very nutritious drink. Soy is naturally high in essential fatty acids, proteins, fiber, vitamins and minerals. These nutrients provide energy and keep your body functioning at its optimum level. 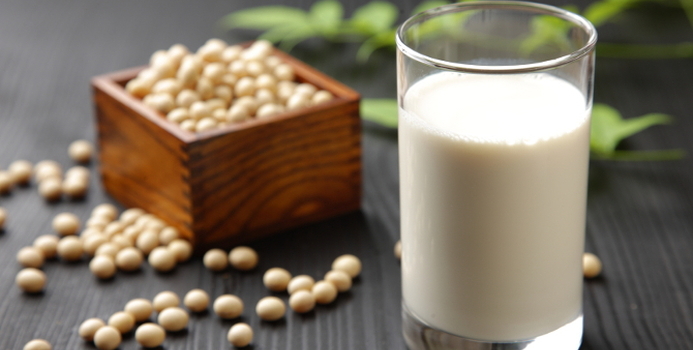 Below are the six most important health benefits you can acquire from drinking soy milk. During menopause, a woman’s natural production of estrogen drops to a minimum. The sudden reduction of estrogen creates a number of health problems for post menopausal women. Post menopausal women have higher risks of heart disease, diabetes and obesity. They are also more vulnerable to depression, mood swings, insomnia and other psychological disorders. The phytoestrogen in soy is an effective estrogen replacement. Regular intake of soy is a great way to prevent and alleviate these post menopausal syndromes.